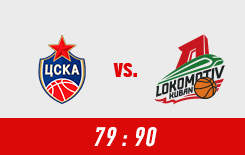 On February 14th, Lokomotiv Kuban was beaten by CSKA at home – 75:78. 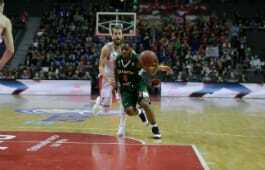 The most effective player of Lokomotiv was Mardy Collins who got 20 points, 6 rebounds, and 2 assists. Trevor Lacey added 16 points and 4 assists. 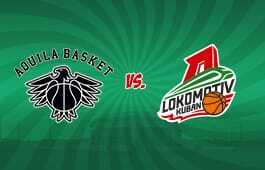 On February 14th, Lokomotiv Kuban welcomes CSKA Moscow at home. The Moscow team arrived in Krasnodar to gain revenge. Earlier, Loko beat CSKA in Moscow and knocked it out of the first place in the VTB League standings. Lokomotiv Kuban beat Nizhny Novgorod in the finale – 85:64 and won the Russian Cup 2017/18. The most valuable player of the finale was Dmitry Kulagin who got 29 points, 5 rebounds, and 6 assists. 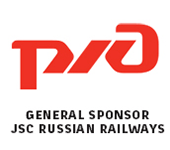 Dmitry Khvostov and Pavel Antipov were included in Top Five of the Cup. 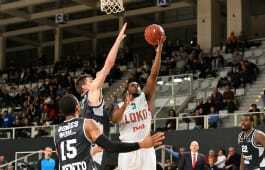 In the final game of EuroCup Top-16, Lokomotiv Kuban won the game against Dolimiti Energia Trento on the road – 74:71. 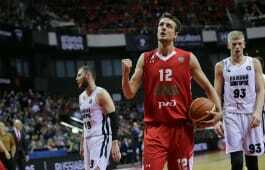 The most effective player of Loko was Ryan Broekhoff – 13 points, 5 rebounds, 18 PIR. Mardy Collins and Frank Elegar added 10 points each. On February 7th, Lokomotiv Kuban plays its last game in EuroCup Top-16 on the road against Trento. Last round, Loko won its 15th game in a row against Buducnost at home. So our team intends to advance next round with 6 wins.